Kelli Jean Drinkwater is a multi-disciplinary artist and activist recognized internationally for her creative practice and voice in radical body politics. 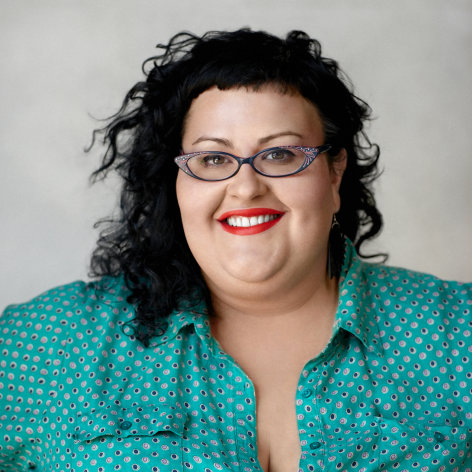 Kelli Jean uses the fat body as a site to investigate the complex relationship we all have with our bodies and how that defines the world we live in. Recurring themes in her work are notions of ‘taking up space’, queering fat embodiment and how this reclamation can transform and reimagine the potential of self and community. Her work is motivated by how these ideas intersect with gender, race, class and ability. Her work has featured in major international galleries, festivals and magazines. Recent performances include Force Majeure’s Nothing to Lose for Sydney Festival 2015, NightCraft for MCA’s Artbar, Tableau Vivant for Underbelly Arts Festival, MonstaGras at The Red Rattler Theatre. Her directorial debut Aquaporko! won the Audience Award for Best Documentary at Mardi Gras Film Festival 2013 . She is a resident artist with The Glitter Militia performance collective in Sydney, Australia. Kelli Jean is currently in production on an independent documentary focusing on the cast of Nothing to Lose.